"We're big fans of Lauren Starnes all-around! She provides the perfect combination of comfort and excellence in all that she does. She immediately puts you at ease, inspiring calm through her relaxed and extremely patient manner. She is flexible, accommodating, thoughtful, and a true joy to work with. Lauren is kind and demonstrates a sincere love for children and families - not to mention she's super fun and has a great sense of humor! Her work is spectacular; we will always cherish the memories and season of life she captured for us. If you need family photos, look no further - we highly recommend her!" "In our house we believe a picture isn't something you just hang on the walls to decorate your home. It's a glimpse of our real lives frozen and preserved. When we're old and gray sitting in our rocking chairs staring at pictures ,we won't care if we all matched or had the perfect props. We'll be joyfully staring at those photos talking about memory after memory. When it came time to capture a beautiful new season of life for our family Lauren was a no-brainer. We are blown away time and time again at her ability to capture real life so perfectly. We stare at our walls and instead of commenting things like "oh that was cute dress" or "man that was a stressful day to get everyone ready for"; we stop and recall how cute it was that our daughter scrunched her nose just so before falling asleep, or how expressive her eyebrows are when she's happy. The pictures Lauren captures are precious jewels that truly have emotion built into them. She has this amazing ability to capture the real, authentic life of our family. We love that she shoots in our home or our favorite place and that the entire shoot feels like we just had a friend over to hang out. So relaxed and enjoyable. If you're looking for pictures that beautifully depict your life Lauren is an absolute must." "We had the pleasure of having Lauren come to our home for a newborn shoot. Any new mom knows what a delicate time that is! My baby boy was less then two weeks old, I had not slept much, my family had all left town, and we were still figuring out how to be parents. It was a sweet time, but also stressful in many ways. Before the shoot, Lauren prepared me with tips about how to manage getting myself and my home ready for the shoot (low pressure, take care of yourself, feed the baby right before, etc. ), which made me feel ready. She also warned me that babies sometimes scream for the entire shoot! But she also told me that those moments often make for the sweetest photos of momma comforting baby, which set my mind at ease. Lauren came in and was a sweet and calming presence. She was professional, but she felt like a friend in my home coming to oooh and ahhh over my baby with me. 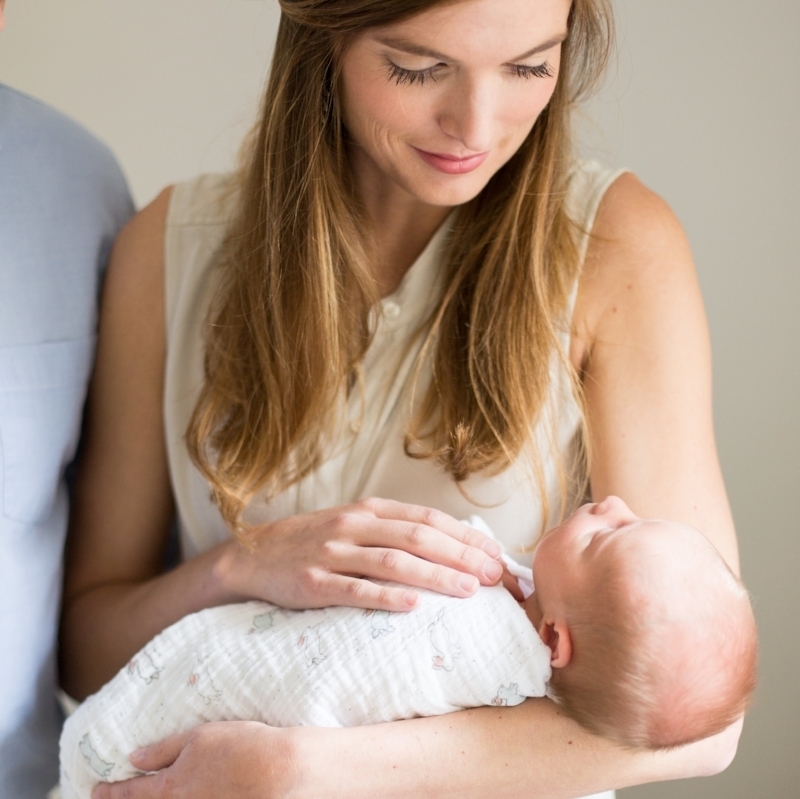 My husband and I felt comfortable fumbling through the session, laughing along with Lauren, who is a new mom herself, about how we didn't quite know how to hold him or comfort him just yet! And though the photos are gorgeous, and I look at them almost daily, I think I'll remember the experience most dearly when I see those photos. It was bright and beautiful, it felt serene and sweet, and Lauren was watching us and guiding us through that very special hour as a new family."